Emperor Beds, Boat Beds, Travel Trailers, Tree Forts, Round Beds, Antique Beds, World; Largest Dog Bed, French Beds… you name it, we’ve built it! Powerful people: How they do it all How do high-achieving people balance work and family? One way is by remembering the important role of sleep. Sleep deprivation can negatively impact coordination, agility, mood and energy. The right mattress purchase is essential for keeping your career on track while you cope with everything from kids to aging parents. Mom was right, you shouldn’t shirk on the shut-eye. Don’t Skimp on Essentials: Most of us are staying home more these days; eating at home, finding entertainment at home, even vacationing at home. That makes it important to focus on items essential for good at-home experiences. Join the ranks of people who are cutting back, but recognize the importance of things that make their home more comfortable and healthy. And what could be more comfortable and healthy than the right bed for YOUR body? Sleep Loss Can Cause Weight Gain: Several recent studies have confirmed that there’s a link between lost sleep and weight gain. In one study, participants who slept six hours per night were 27% more likely to become obese than those sleeping seven to nine hours; people getting five hours of sleep per night were 73% more likely to become obese! Who knew? A good night’s sleep, on a good mattress, helps you stay slim and trim. Benefits of a Good Night’s Sleep: Better heart health, weight loss, more attractive appearance, and increased libido. The typical picture of a corporate high flier is someone who survives on very little sleep. He or she rises when it is still dark, works late and is still answering emails at two o’clock in the morning. Such people do exist, of course. The late British Prime Minister Margaret Thatcher, for example, was famous for operating on a few hours’ sleep. Some entrepreneurs and Wall Street traders seem to follow suit. But if you think you need to do the same thing to get ahead, think again. A growing body of research is finding that, on the contrary, those who get a good night’s sleep are usually more productive at work. They think more clearly, quickly and creatively than those trying to get by on a few hours’ rest and a gallon of caffeine. That’s because sleep doesn’t just rest the brain, say medical specialists. 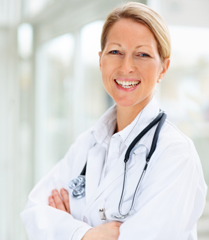 It allows the brain to perform vital maintenance and restoration tasks. Brains that get too little sleep simply cannot perform as well as those that are rested. Investors should also take heed: Numerous studies have found that those running on too little sleep tend to make poorer investment decisions and take needless risks as well. Charles Czeisler, a sleep specialist at Brigham & Women’s Hospital in Boston, agrees. “Missing a night’s sleep degrades our neurobehavioral performance”, that is, our mental acuity”by the equivalent to being legally drunk,” he says. And, he warns, this doesn’t only apply if you miss one night’s sleep completely; you’ll see similar effects if you simply sleep too little each night over time. Adults need eight hours of sleep on average, experts say. There is some variation between individuals, but it is far less than many think. Many of those who think they can be just as productive with a lot less are fooling themselves, he says. In round numbers, the percentage of adults who can really get by on five hours or less per night “is about zero,” says Dr. Czeisler. It’s easy to be fooled. Research suggests that tired professionals are still able to go through the motions of their jobs, such as sitting in meetings, understanding reports, and performing the kinds of routine professional tasks they usually undertake. A new study says investors may make poor decisions when they are sleep-deprived. Modern corporations often push key employees to go short on sleep, demanding they work longer hours and stay in touch late at night. But sleep loss impairs higher-level brain skills. When we are tired, we find it much harder to think innovatively and to make creative leaps, say researchers. We find it harder to adapt our thinking to new information or to learn new lessons. So we struggle to make good judgments in very ambiguous situations. Than wee are also more vulnerable to mood swings, more irritable and less able to get along with others. Consider: At England’s Loughborough University in 1999, researchers Yvonne Harrison and James Horne tested the effects of sleep deprivation on a small group of healthy young participants. They were given complex business-situation tasks in the form of a game, as well as some critical reading tasks. Those who went short on sleep were able to keep up with the reading, they found. But when it came to the complex game, “their play collapsed,” they reported. In other words, if you’re a white-collar professional, sleep loss may not get you fired. But it may be stopping you from doing the things that would get you a promotion. It may even help explain the “herd mentality” often seen on Wall Street. Yet even as more of us are working in jobs that require innovative and creative thinking, we are getting less and less sleep. We get far less sleep than our grandparents, say specialists. Dr. Czeisler says 20% to 30% of workers sleep less than six hours a night during the week. Fifty years ago, he says, the number was around 2% to 3%. Experts blame electric lights, alarm clocks, and now the Internet and smartphones. “If you need an alarm clock to wake you up, by definition, you’re not getting enough sleep,” warns Dr. Czeisler. Some patients tell him they keep their smartphones by their bedside table so they can check emails last thing at night, first thing in the morning, and in the middle of the night if they wake up. Duvets are warm, sure, but they turn beds into lumpy landscapes and leave rooms looking messy. It’s time to neaten up and reconsider the good old-fashioned blanket. What with the WikiLeaks intrigue and hand-wringing over Iran’s nuclear-site tours, you might not have noticed the debate that’s been heating up on the domestic front. Many aesthetes have been reconsidering the down comforter, some banishing it altogether. Paul Costello for The Wall Street JournalLEAN AND MEAN: A vintage Suzani coverlet hides a blanket and keeps the look puff-free. What emerged in France in the 1700s as a year-round bed cover didn’t gain popularity in the United States until the late 20th century, specifically in the flouncy, overdone 1980s, when a bed wasn’t made until it had at least 12 pillows and a mind-blowing system of sheets, blankets, quilts and fluffy comforter housed in a matching cover. By the ’90s, Zen-inspired chic had become the rage. Down fit in with the cleaner times. 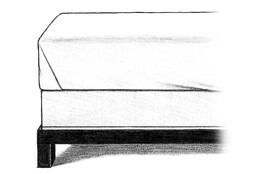 It was a purist’s dream, casually amorphous yet sturdy enough to inject some ballast into those all-white beds. The comforter was so ubiquitous it came to be unnoticeable. 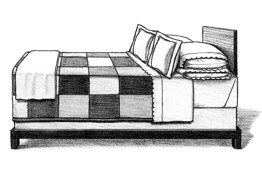 And now, after a decades-long nap, the design world is ready to change the bed. Down’s detractors curse the lumpy, untidy covering as not only a sweat factory, but a style error. So what’s the alternative? For Nathan Turner, interior designer and shop owner, the secret is to keep things simple. “I just did a very clean midcentury bed for clients—super-tailored with a beautiful set of pale blue sheets and a natural striped blanket from Swans Island and two pillows,” he said. It appears the options for putting your bedding on a diet are twofold: There’s a high-maintenance and a slightly lower-maintenance way to do it. The former consists of crisply pressed sheets, blankets and coverlet carefully folded down at the top edge and tucked in at the sides and the bottom. The latter, more laid-back approach, involves all the same bedding but instead of ironing the sheets and folding over the coverlet, simply pull it to the top of the mattress to hide the wrinkles that lie underneath. In both cases, the final result is far svelter than a mattress draped in the bedding equivalent of a ski parka. I didn’t always realize there was more than one way to go about the sleek bedding look. Before I was married, I used to buy into the illusion of excessively maintained, ironed-daily bedding, the kind found in the fanciest of bedrooms professionally decorated by my heroes, interior designer Bunny Williams and the more rustically organic designer Vicente Wolfe. I, too, wanted to sleep in a universe where million-thread-count sheets and bleached matelasse coverlets met in unison, precisely folded and tucked on the centimeter with pillows stacked like uniformed soldiers. I actually went out and got all the equipment—sheets compliments of Frette and hand-monogrammed coverlet furnished by Leontine Linens—but I lacked the squadron of laundresses and professional ironers it takes to make it all really sing. Instead, I had a terrifically wrinkled pile of laundry pulled over my mattress trying hard to look expensive. Additionally, it occurred to me that a too-perfect bed might be transmitting negative signals to suitors—a clear signal of an owner who’s a twinge on the uptight side. After trying and failing at the posh, preppy and unsexy look, I turned toward lo-fi and fluffy. Enter the down feather comforter which sometimes goes by the name Duvet (technically, the French word means a comforter cover). At first it was a glorious love affair—casually disheveled Duvet looks sort of cool unmade, suggesting its owner might be busy with much better things than making the bed. But after a fortnight in that wood-burning oven, I began to hate Duvet. Everything it did got on my nerves. Innocently folded at the end of the bed, it stood as high as the Great Wall of China. Freshly washed, it stank of farm animal. And putting on its cover was like trying to dress a cranky newborn in a three-piece suit. More mornings than not I’d wake up to a wicked mess of formless feathers corralled at one end of the duvet cover and an empty carcass at the other end. Totally insubordinate. To compensate for all the wasted effort in the bed department, I recently turned toward one of my style gurus for answers: Carolina Irving, purveyor of chic patterned textiles. Her style is neither religiously tidy nor too unmade. It’s just right and mostly down-feather free. Her secret weapon is a fabulously bohemian coverlet that morphs with her mood—be it embroidered suzani, hand-blocked Indian tablecloth or American quilt. A revelation! A decorative something on top of wrinkled or pressed sheets that allows a bed to look sensational sans house staff. Housekeeper or not, I shan’t be revisiting my ex, Duvet, unless I find myself in a house without heat. 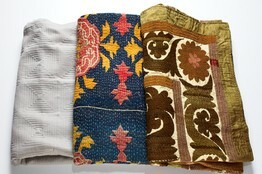 For now, I am thrilled with my three new best friends: Wrinkled Sheet, Coverlet and Suzani. We should all hang out sometime—you’d love them. Sara Ruffin Costello is a design consultant and style journalist in New York. Lay a flat sheet over the bed evenly, and tuck it in at the bottom and top of the bed. (Flat sheets tuck more cleanly than fitted ones.) Make “hospital corners”: Lift a corner triangle of sheet up onto the bed and tuck in the part that remains below, then lower the triangle and tuck it in. Tuck in the sides. Lay the top sheet over the bed with its top side facing the mattress. Pull the sheet up so it is even with the top of the bed. Leave the same amount of sheet hanging over the two sides. Tuck in the bottom end. 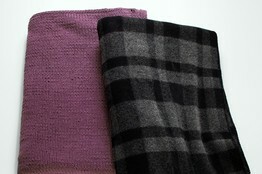 Lay a blanket (thin in summer, wool in winter) over the bottom ¾ of the bed. Tuck in the bottom. 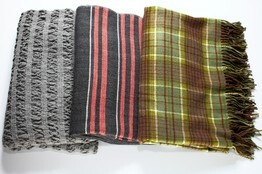 Lay a coverlet over the blanket, its top edge meeting the top the blanket. Fold the sheet down over both. You can either let the sides drape sweetly over the sides of the bed or tuck in the sides for a more buttoned-up look. Fluff pillows and set them on the bed, flat in a stack like pancakes with a pair of Euro shams propped in front. Add a soft throw at the base of the bed, folded in thirds, with the bottom edge of throw flush with the bottom edge of bed. Avoid an environment that will create the conditions for condensation. Like a window pane in winter, a cooler platform can collect moisture from the air as you warm your mattress through the night. Condensation is likely to lead to mold. 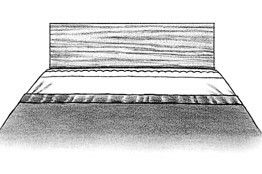 We *strongly* recommend using a Slat Conversion on top of your platform so the slats can change temperature with your mattress, to maximize air flow and avoid condensation. Boxspring — If you have a newer (less than 3 years old) good quality box spring, it should work fine. You can test by removing your mattress and laying directly on the box springs. Platform — A platform can provide even support. Caution must be taken to avoid an environment that will create the conditions for condensation. Like a window pane in winter, a cooler platform can collect moisture from the air as you warm your mattress through the night. Condensation is likely to lead to mold. We *strongly* recommend using a Slat Conversion on top of your platform to maximize air flow and avoid condensation. 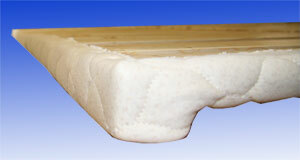 Provide adequate air flow around your mattress. 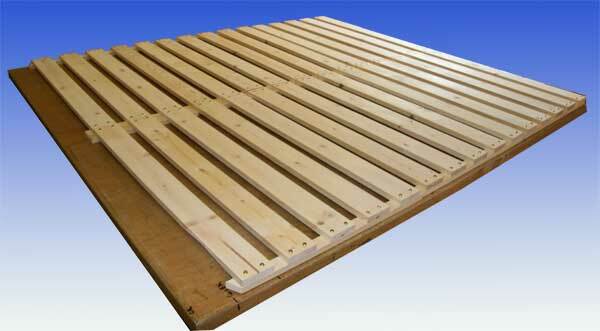 Slat conversion for platform will do that for you. 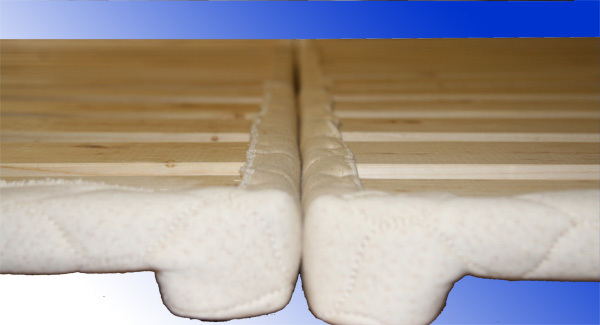 Covered slat conversion come in 6 pieces, making it easy place. 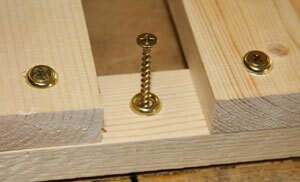 Predrilled with screws to attach to platform. Covered Slat Conversion still allows air to flow… but matches mattress. 3-1/2 inch high Low Profile Euro Slat can be used in traditional bedstead, metal bedframe, our glide leg system, or on a platform. 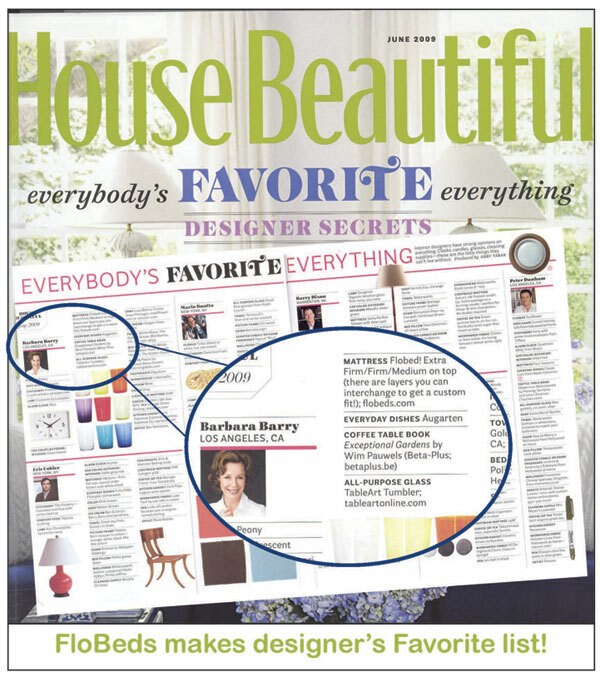 Los Angeles designer Barbara Barry shares her list of favorite home products with House Beautiful, from Augarten dishes to Häagen-Dazs ice cream! KITCHEN GADGET: Jura-Capresso Espresso Machine- Impressa Z5.